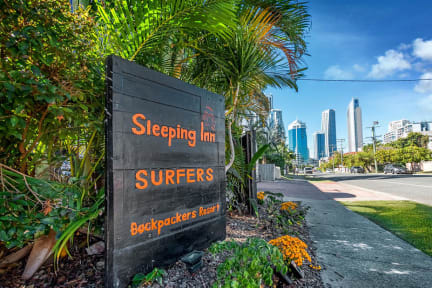 Sleeping Inn i Surfers Paradise, Australien : Boka nu! 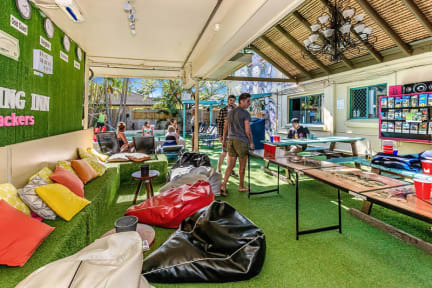 This is a party hostel with the best staff you will ever find! Atmosphere is amazing. Rooms are like your own little apartment and there's also events on every evening. And if you want to stay longer, there's also a possibility for work for accommodation. No electricity for 5 hours! They renovated our kitchen in our room so we couldn’t sleep there so we changed room. Microwave didn’t work... Great stuff, funny and personaly! The rooms was small and didn’t have a security box. 10 persons shared one bathroom which was dirty and messy. There was only cold water in the shower and it leaked. The beds were uncomfortable and unstable. It was only a fan in the room and it was always too hot. Nobody cleaned after themselves in the kitchen, everything was dirty. The pool was dirty. The only thing that was okay was the location, which was kind of central.